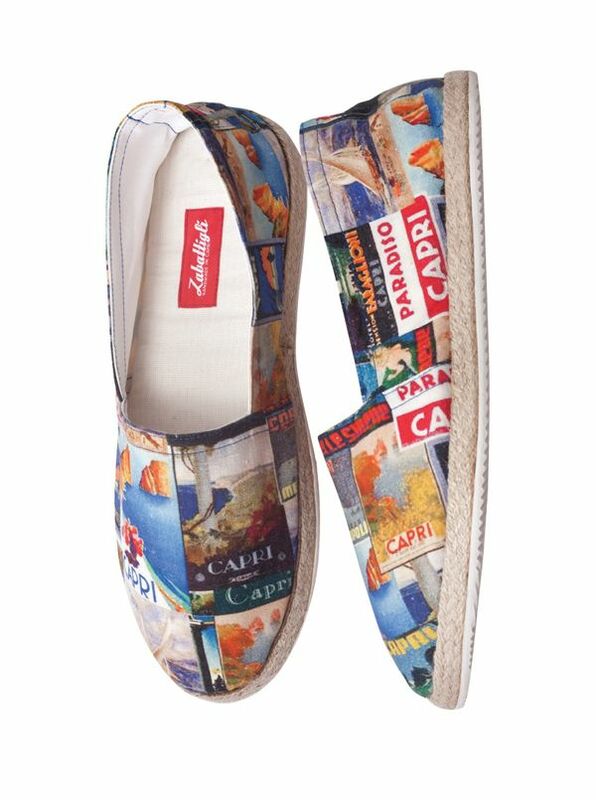 Zabettigli Capri Print Espadrilles with padded insoles rubber soles jute trim. Zabattigli Espadrilles are handmade on the Isle of Capri. Originally the fisherman's favorite they have been updated with inner heel padding added to the classic natural jute soles and cotton uppers.